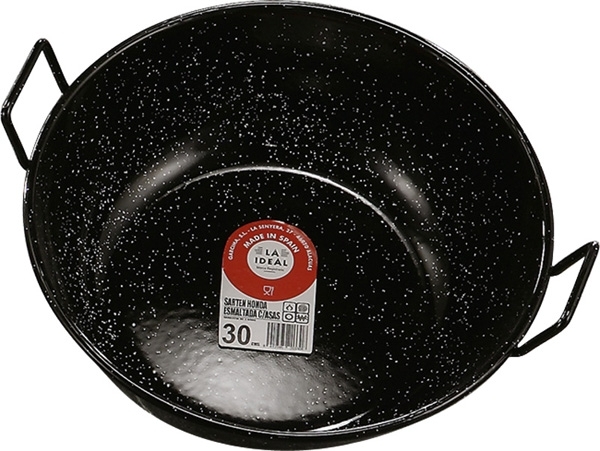 Its wide range of sizes allows to cook from small rations ("tapas") , to catering for big groups. This 40 cmts. 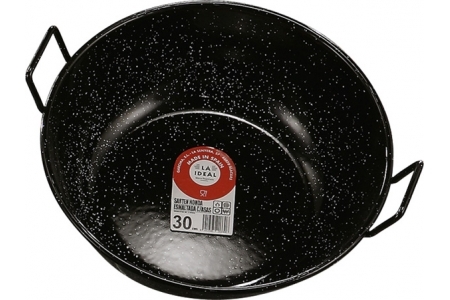 diameter deep enamelled, two handled steel pan has a capacity of 8,9 lts.